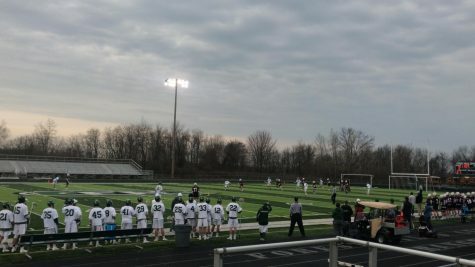 Thanks in large part to the offensive performances from the trio of junior Jackson Clay along with seniors Luke Majick and Evan Metaj, the boys varsity lacrosse team took down a very good Hartland team on Saturday. 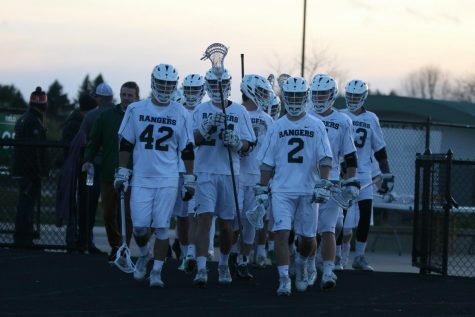 Coming off of a momentum-building win over archrival East Grand Rapids, the honeymoon effect was not present as it took a good performance to take down the Eagles, with the Rangers defeating Hartland by a score of 17-15. Both the first and second halves of this game consisted of run-after-run from each team. Just when the game would start to get out of reach, the Eagles would pull themselves back into it. In the first quarter, the Rangers went up 4-1 and then later 6-2. 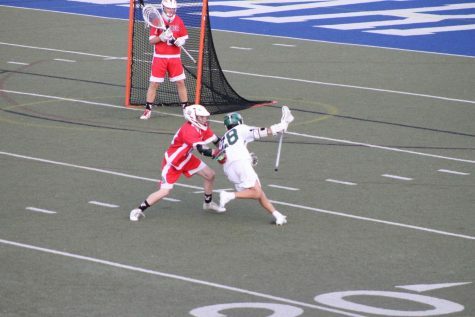 After extending the lead to 9-4 shortly before halftime, the Eagles scored two goals in quick succession to slim down the Ranger lead heading into the locker room. In the second half, Hartland came out to play, scoring the first two goals of the half to decrease the Ranger lead to only one goal. Run-after-run continued to come from both teams as the Rangers struggled with consistency throughout the game. Shortly into the fourth quarter, the Rangers jumped out to a 16-12 lead, one that they thought they could close out. 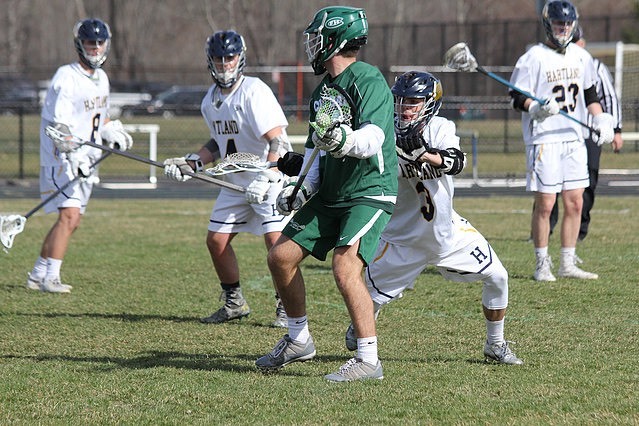 However, the Eagles went on a quick run to bring the deficit to only one goal as the score was 16-15 with mere minutes to go in the game. Just as Hartland was back in it, the Rangers would go on to score another goal and close the game out. Overall, the Rangers displayed grit and resilience after being put in a position they hadn’t been in all season. Even though some inconsistencies were exposed, the win over a very good offensive team in Hartland is something the coaches obviously looked positively towards. 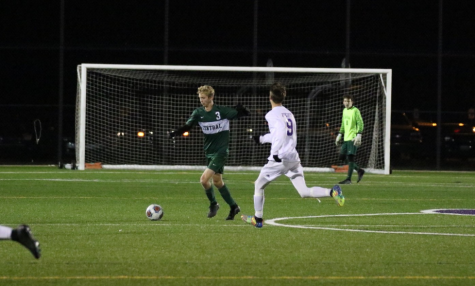 The performances of Luke, Jackson, and Evan were more positives as all three of them had at least 3 goals on the day. Defensively, senior Cam Deines shut down Hartland’s star player Reece Potter in settled offense—only allowing one goal from him that wasn’t in transition. With this win, the Rangers improve to a 5-0 record on the season. 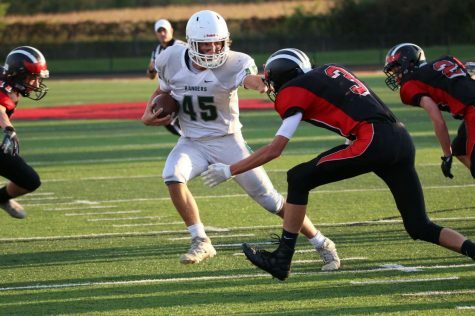 On the schedule next week for the Rangers are the Brother Rice Warriors—who are the top-ranked team in the state—and the Forest Hills Eastern Hawks, who are the seventh-ranked team in Division 2. With two tough matchups this week, the Rangers will make sure they take one game at a time, especially with the first one being so publicized.